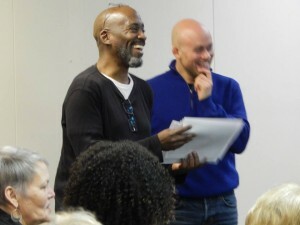 Dmae features Profile Theatre’s production of The Blue Door by Tanya Barfield. 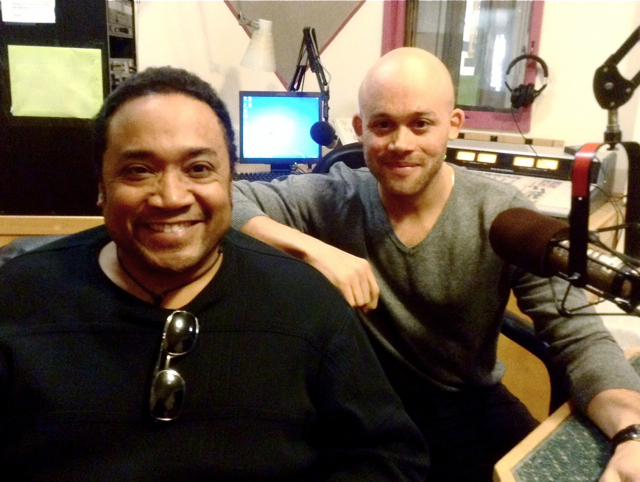 We’ll hear from director Bobby Bermea and actor Seth Rue about a highly poetic play steeped with the ghosts of history. The show runs April 7-24 at Artists Repertory Theatre’s Alder Stage. And we’ll hear an encore clip from playwright Julia Cho talk about her writing process and her play The Language Archive which will have a staged reading on April 2nd at Milagro Theatre. More info at: TheatreDiaspora.org. Directed by Bobby Bermea and featuring Victor Mack and Seth Rue. Lewis, a highly successful mathematician, has never found himself up against a problem he cannot solve. But underneath his veneer of success lies a soul troubled by questions of personal and cultural identity. On a night of disorienting insomnia, Lewis inadvertently conjures three generations of ancestors and finds he must take in the wholeness of his history and face the life he has chosen.With music and haunting imagery, the Pulitzer-nominated The Blue Door may resonate with anyone who has ever struggled to live with – or escape – the past. Seth is overwhelmed to make his debut at Profile with this powerful show. To be working with two of his artistic idols in Victor and Bobby is a dream come true. He is humbled to be trusted to give voice and shape to Simon, Jesse and Rex and to tell this story, celebrating self-love and acceptance, family, our journeys of identity, ancestral and spiritual vitality, and of the depth, diversity and beautiful – and often painful – complexity of Blackness in America. 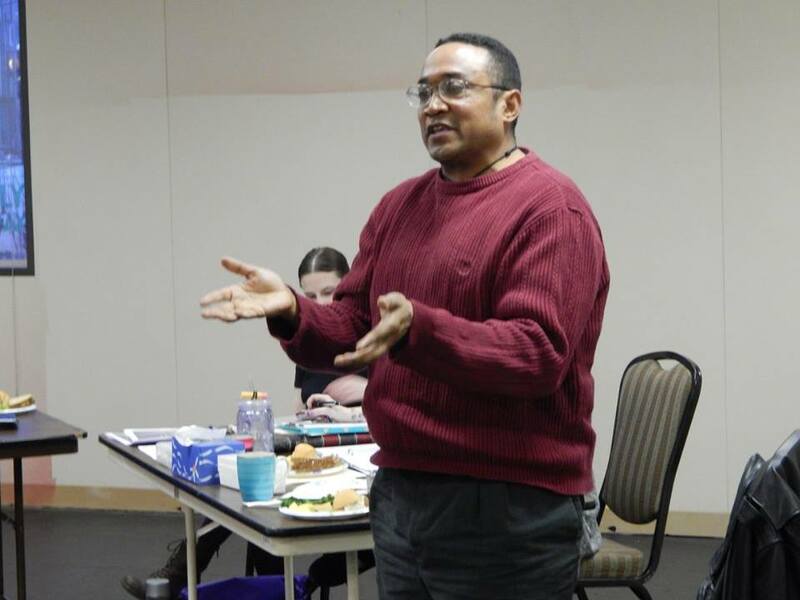 Look for him in the upcoming production of Cottonwood in the Flood with the Vanport Mosaic Festival. Bobby is a director, a playwright, and an actor and has performed in theatres from New York, NY to Honolulu, HI. He is co-artistic director of the Beirut Wedding World Theatre Project, artistic director of BaseRoots Theatre Company, a company member of of Sojourn theatre, and a company member of Badass Theatre. Recent directing credits include My Soul Grown Deep with BaseRoots Theatre, Dr. Jekyll and Mr. Hyde and The Sexual Neuroses of Our Parents with Theatre Vertigo, and Wait Until Dark at Northwest Classical. 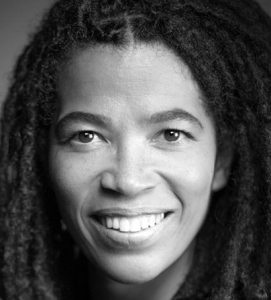 More abut the Playwright: Tanya Barfield, originally from Portland, Oregon, currently writes for The Americans on FX. Her play Bright Half Life premiered at the Women’s Project Theater and was a TimeOut Critic’s Pick. Her play The Call premiered at Playwrights Horizons in co-production with Primary Stages and was a Critic’s Pick for the New York Times. 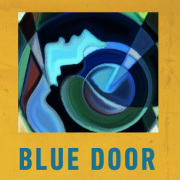 Blue Door (South Coast Rep, Playwrights Horizons) was nominated for a Pulitzer Prize. Other work includes: Feast (co-writer, Young Vic/Royal Court), Of Equal Measure (Center Theatre Group), Chat (New Dramatists’ Playtime Festival), and The Quick (New York Stage & Film). A recipient of a Lilly Award, the inaugural Lilly Award Commission and a Helen Merrill Award, Tanya is a proud alumna of New Dramatists and a member of The Dramatist Guild Council. She has written for the upcoming Starz series, The One Percent.